Gibson Dunn | Fromholzer, Ferdinand M.
Ferdinand Fromholzer is a partner in the Munich office of Gibson, Dunn & Crutcher. He is Partner-in-Charge of the Munich office and a member of the firm’s corporate practice group. Mr. Fromholzer focuses on corporate law and corporate governance matters, such as annual stockholder meetings and corporate structural measures, among others; M&A (public and private), with strategic and private equity investors; and compliance investigations, with a focus on duties and obligations of directors and officers. Handelsblatt / Best Lawyers 2018/19 list him among the best lawyers in Germany for Corporate Law, M&A and Private Equity. The JUVE Handbook 2018/2019 recognizes him as “frequently recommended” and states clients who describe him as “excellent Lawyer with always creative and solution-oriented approaches” and as “very pragmatic and experienced.” Mr. Fromholzer is featured by Who’s Who Legal Germany 2019 for M&A. Legal 500 Deutschland 2019 recommends him for Compliance and Private Equity, citing clients who recognize his “broad, valuable wealth of experience.” He is named as “excellent and very experienced advisor”, who “in addition to his in-depth knowledge, also has the ability to argue constructively, objectively and in a result-oriented manner in difficult negotiation situations, thereby making a significant contribution to the success of the respective transaction.” He was also recommended by Legal 500 EMEA 2018 for Private Equity and Compliance. Mr. Fromholzer regularly publishes on corporate law matters. Among others, he is co-author of the online legal commentary on the German Transformation Act (Beck OGK UmwG), published by Habersack/Wicke in 2018, and of the chapter on Public Takeovers in the Private Equity Handbook, published by Eilers/Koffka/ Mackensen/Paul in 2018. 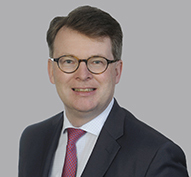 Prior to joining Gibson Dunn, Ferdinand Fromholzer was a corporate partner in the Munich office of Freshfields Bruckhaus Deringer for more than a decade. Mr. Fromholzer is fluent in German and English. Corporate law and corporate governance advice including annual shareholder meetings (Hauptversammlungen) to Daimler AG, Wirecard AG, Infineon Technologies AG, Airbus, Wacker Chemie AG, Siltronic AG, BSH Bosch Siemens Hausgeräte GmbH, Kabel Deutschland, Centrotec Sustainable AG. Representing Infineon Technologies on various M&A Transactions. Advising CCL Industries Inc. on the multi-national acquisition of Treofan America Inc. and Trespaphan Mexico Holdings GmbH from M&C S.p.A. Representing Baird Capital on various acquisitions and disposals, most recently together with VR Equitypartner and on the sale of Zarges Group to Triton. Advising ZT Management Holding GmbH on the sale of Tubesca Comabi to Frénéhard & Michaux. Daimler AG on various M&A transactions, e.g. the public takeover of Tognum together with Rolls Royce. University of Regensburg - 1997 Dr. jur.